A war veteran turned memoirist, Castner served three tours of duty in the Middle East. He astonishes audiences with his harrowing story of his struggle to survive modern combat in Iraq and the arduous journey back to his family. Brian Castner served as an Explosive Ordnance Disposal officer in the US Air Force from 1999 to 2007, deploying to Iraq to command bomb disposal units in Balad and Kirkuk in 2005 and 2006. His memoir The Long Walk: A Story of War and the Life That Follows is the story of his struggle to survive modern combat in Iraq and his personal tale of confronting the new person he had become upon returning to his family. 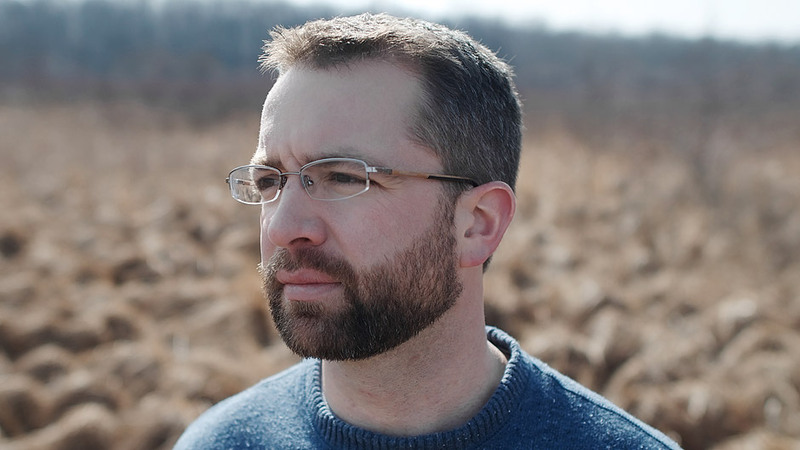 Castner astonishes audiences with his powerful and harrowing story of the terror, excitement, and camaraderie of combat, and the lonely battle against the unshakable fear, anxiety, and survivor guilt that he—like so many veterans—carries inside. After leaving the active military, Brian Castner became a consultant and contractor, training Army and Marine Corps units prior to their tours in Iraq and Afghanistan. His writing has appeared in a number of national and regional publications, including The Wall Street Journal, Newsweek, Foreign Policy,Publishers Weekly, and Garry Trudeau’s The Sandbox, an online forum for dispatches by Iraq and Afghanistan service members. 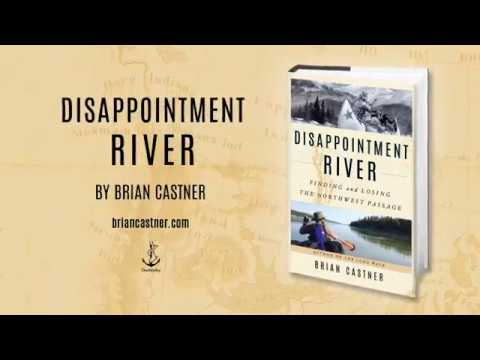 His latest book, Disappointment River, is a travel memoir and historical account of Castner’s retracing of Alexander Mackenzie’s 1789 journey in search of the Northwest Passage. After writing his war memoir, The Long Walk, Castner became a freelance journalist, and has reported from conflict areas around the world. Take a ride across the globe, with American soldiers in Afghanistan, desperate Ebola doctors in Liberia, and to the rise of ISIS in Iraq, to hear about the forces shaping our world. In the summer of 2016, Castner paddled the 1100 mile Mackenzie River, the second longest in North America, all the way to Arctic Ocean, to tell the story of Alexander Mackenzie in Disappointment River. But only a few years before, he was struggling to return home after combat tours in Iraq. Hear his remarkable story of Post Traumatic Growth, and how a bomb suit in Iraq led to a canoe in the Arctic. In 1789, when Alexander Mackenzie paddled the river that now bears his name, he was met at the Arctic with impassable pack ice. When Castner paddled the same route in 2016, he saw open ocean. Castner discusses his journey through traditional indigenous villages, and how oil pipelines, drilling, melting snow roads, and climate change are affecting their way of life, as the Arctic warms twice as fast as the rest of the globe. Some ideas are remarkably ahead of their time. Charles Babbage invented a steam-powered computer in the nineteenth century, Kodak developed digital photography half a century before the smart phone, and Alexander Mackenzie discovered a Northwest Passage two hundred years too early. Hear Castner tell Mackenzie's little-known story, and how in business and enterprise, timing is as important as ideas themselves. Brian Castner was GREAT. Even exceeded already-high expectations, in my opinion! A great speaker, very engaging, clear, easy to follow and understand. Just all around excellent, I think. The high school teachers loved it and thought it was perfect – he said things about writing they’ve been trying to tell their students. The students had a lot of questions. And all the attendees I talked to at the evening session seemed to have greatly enjoyed it too. [Castner] provides a lively biography of Mackenzie… A vital addition to the library of the far north and of exploration. The Long Walk brings home in a visceral way the hidden, personal burden of war that many veterans continue to carry. Direct and disturbing...A painful but compelling read, even as Castner finds ways to cope, at least partially, with his long walk back at home.